The V&A asked us to create an installation for their annual Village Fête. that people of all ages would be compelled to take part in. 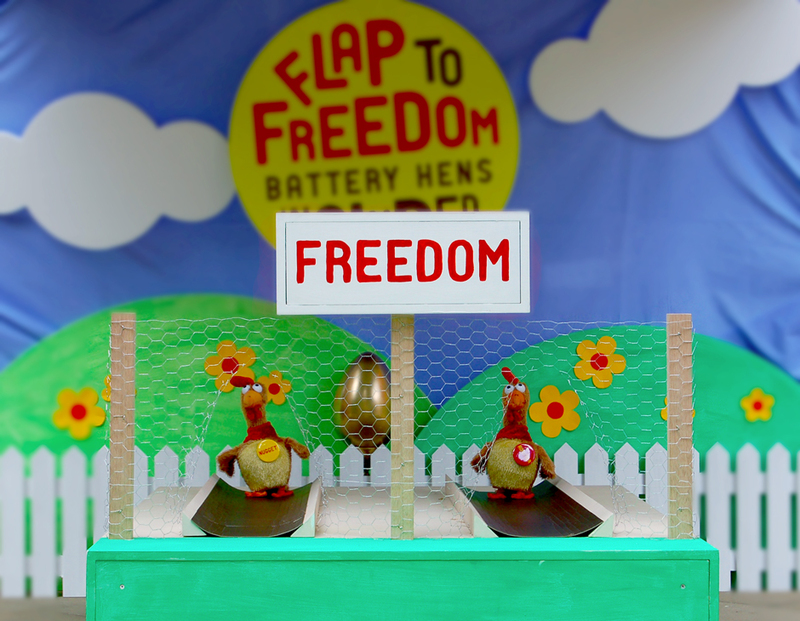 The solution was a 'beat the clock' game based around the idea of racing battery hens out of their cages. 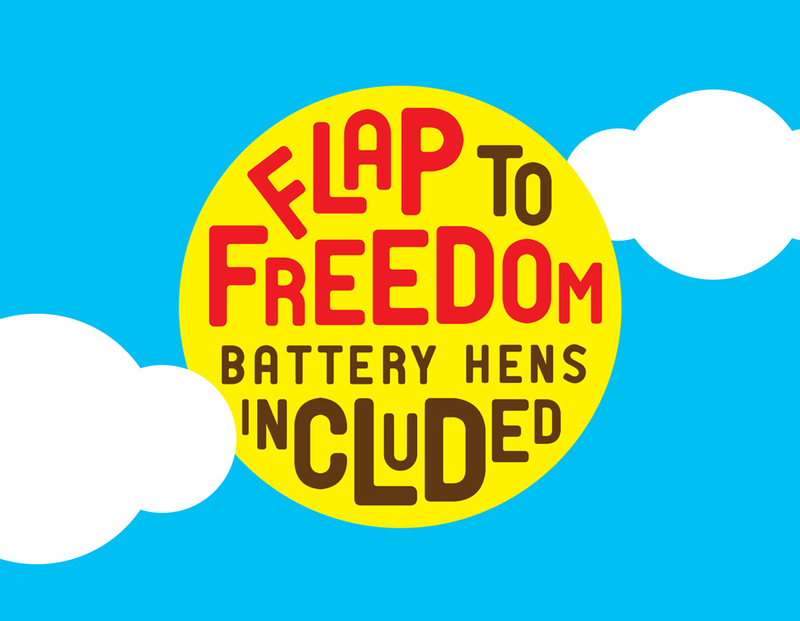 We customised battery-powered chickens so they became controlled by the frenzied movement of two flapping competitors. 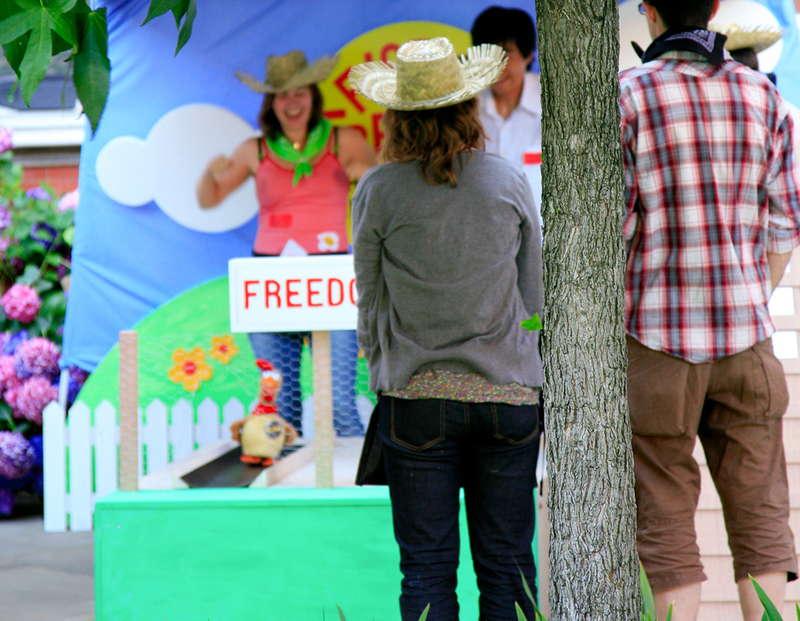 A wooden chicken run hid the digital hardware, and a digital camera was concealed within the signage. 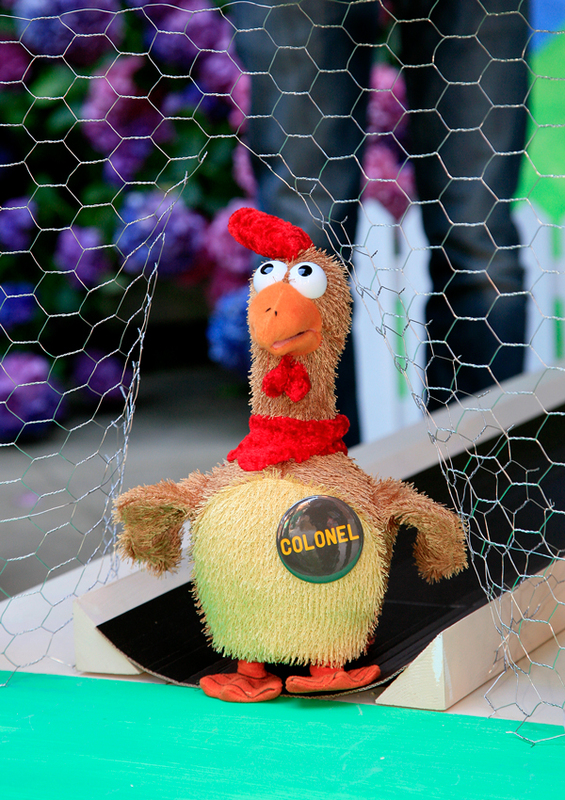 Farmyard props, a scoreboard and a few bales of hay acted as the finishing touch. 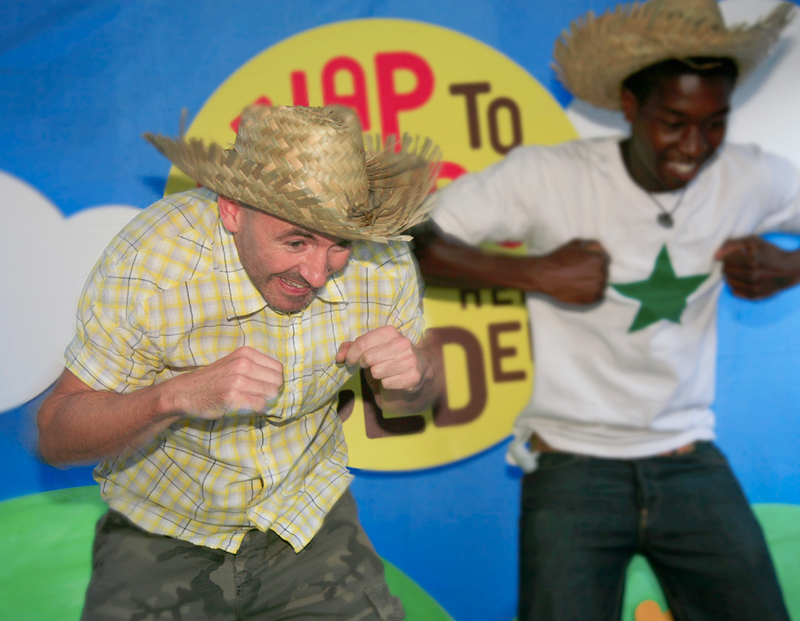 The installation was a resounding success with hundreds of players taking part and was featured in the D&AD annual.